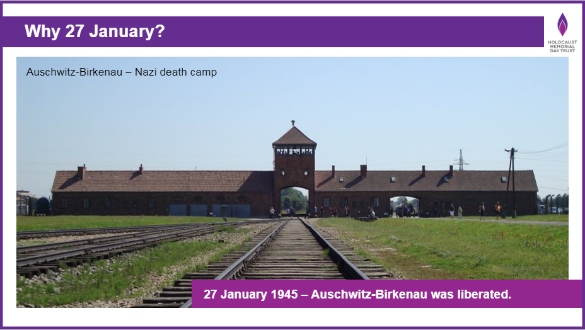 This assembly for secondary schools introduces students to Holocaust Memorial Day, and how we can mark it. Students will learn about how people around the world have been affected by genocide, and what we can do today. It can be delivered on or around 27 January. A script and presentation are included below, designed to be used together by teachers and/or students to deliver the assembly. There is flexibility for you to include contributions from students within the assembly if they have prepared a reading, presentation or performance in advance. The film content is embedded from YouTube, so please make sure your computer is connected to the internet. The HMD secondary assembly is also available in Welsh. You may also be interested in our set of five Tutor Time activities. You can find these resources here.